It seems as though spring weather is finally upon us, which not only means warmer, longer and sunnier days, but also the start of allergy season. While spring can be a great time to enjoy the outdoors, it can also make many people quite miserable, especially seniors. If your elderly loved one is impacted by seasonal allergies, then nothing can be as difficult as this time of year. 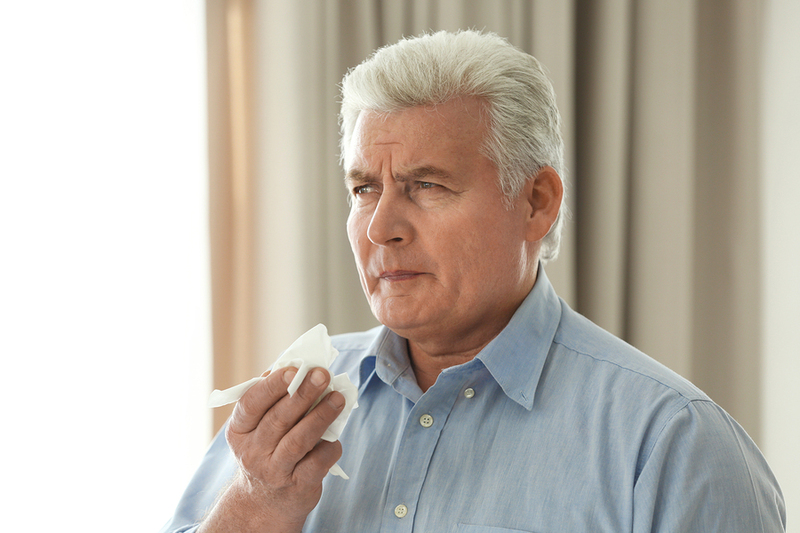 For some younger adults, allergy season may just mean itchy eyes and a running nose, but for seniors who have a compromised immune system, are taking certain medications or who are dealing with chronic disease, allergy side effects can be even worse. The good news is, as a caregiver, there are things that you can do to help make allergy season better and more comfortably for your senior loved ones. Here are a few tips to help you get you and your loved one through this sniffly, itchy, sneezing time of year. The first step to helping any senior through allergy season is to spot their allergy issues. First, look for the common signs, which can include the sudden onset of sneezing, running nose and itchy eyes, typically starting right around this time of year when flowers start to bloom. You should also take note of when they start to have these symptoms so you can be sure it is seasonal allergies not some other irritant. While allergies may not seem like something that requires a trip to the doctor, for seniors this is actually a very important step. This is a great way to make sure your diagnosis of seasonal allergies is accurate and to make certain that you can get a professional’s insight on over-the-counter medications. Look into more natural treatments for seniors, instead of going straight to antihistamines, which are some of the most popular treatments for allergies. Antihistamines, especially powerful ones can come with some serious side effects for seniors and increase their changes of falling or getting hurt. Antihistamines can sometimes cause confusion, dizziness, drowsiness or even changes in mood or behavior. This can be very risky for seniors. There are other, more natural forms of treating allergy symptoms that don’t come with these side effects. Vitamins, light pain medications to treat discomfort, eye drops, non-medicated sprays, homeopathics and even consuming honey from local bees have all been shown to help those who suffer from seasonal allergies. Plus, these treatments all come with little to no side effects. Allergy season can be rough for anyone who typically has a reaction to springtime pollen, but especially detrimental for seniors. Take the time to consider these additional tips when helping your loved one through allergy season to keep them healthy, comfortable and pain-free all spring long.